The conversations in the event were led by 22 topic experts who helped young people to think innovative solutions to problems in table topic areas. 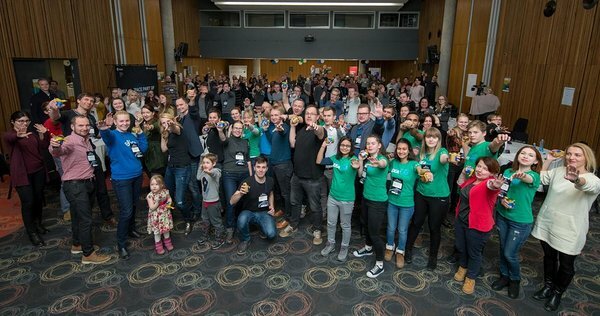 „Space as a Service“ was selected the best idea of the evening – an idea to predict food demand with satellites and give the gathered data to farmers to meet the demand. 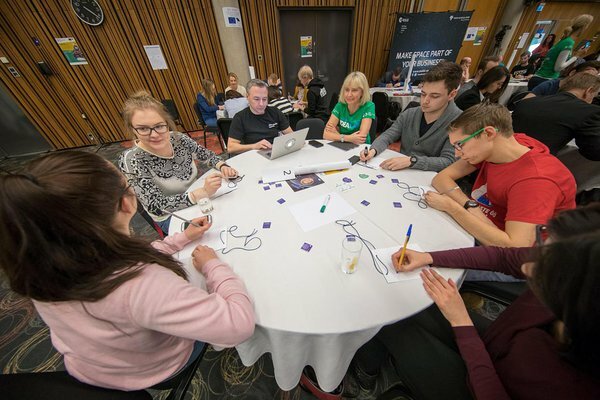 It was created by the people discussing the topic “What is going to be the next "killer" app based on satellite data?“, led by Andrus Kurvits, Tartu Science Park leader. There were also many crazy ideas! For example table nr 12 with the topic „How to prepare for robot invasion?“ that was led by Mihkel Tedremaa (co-founder of TempID). They thought about the idea that in the future there could be an app for robots to order humans who would help them. Keynote speaker Triin Kask (Nevercode co-founder) table „How would a world look like if artificial intelligence would do all the work?“ thought about future where people would heal by themselves. The “Tartu 2024 - For European Capital of Culture“ project’s core team Erni Kask and Kalle Paas were also heading a topic and were very satisfied with the feedback the event provided. “My table’s students from Russia, Ukraine, and France all brought up so many great things about Tartu: museums, theatres, events, places where to eat and also clean air, a lot of greenery. They also said that Tartu’s problem is that it’s not well-known in the world. We have this great city that needs more marketing so that even more people from all around the world could come here,“ Kalle Paas said. 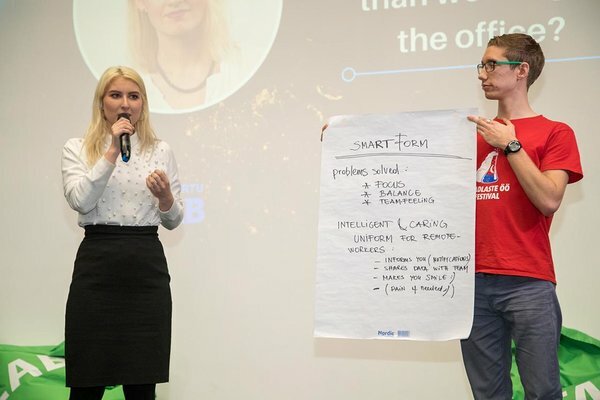 He added that the ideas discussed at Idea Storm will definitely affect Tartu 2024 vision and some of them might make it to the candidate's book that will be completed this year. 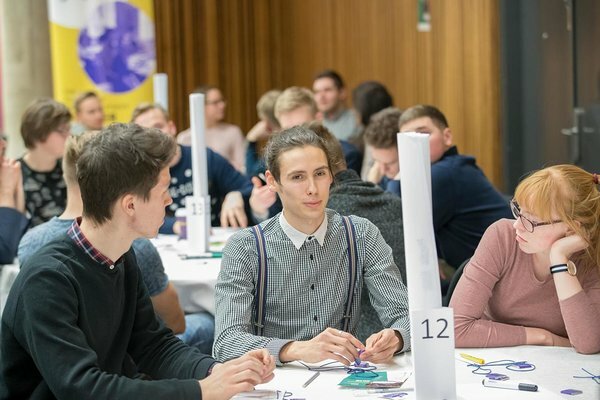 Everyone who found a cool team, idea or is just interested in entrepreneurship are welcomed on 1st of March to „Ideation and Team Building“ workshop that will be led by Harald Lepisk! It is a great opportunity to meet people with similar interests with who to start working on a business idea! And as it was said at the Idea Storm – you don’t even have to have a business idea! If you want to change the world and be enterprising – that is enough!